2019 is the year of more "aaaahhhhh," and less "AHHHHHHHHH!" 1. A Harry Potter-branded key finder that uses *~~magic~~* to help find your keys, or whatever else those pesky nargles keep hiding from you. By magic, I of course mean Bluetooth. When you lose one, just jump on the app and the fob will start making noise until you find it. Get it from Firebox for $31.99 (available in three characters). 2. I Want to Be Calm — a helpful little tome ready to show you how to tackle life's hardships and find peace in the madness. Feeling overwhelmed? This little book offers solutions for all the common factors in our lives that could lead to stress or anxiety. Get it from Amazon or Barnes & Noble for $12.99, Anthropologie for $13, a local bookseller through Indiebound, or find a copy at your local library. 3. A unicorn external battery so you can stop worrying about your phone charge and focus on your book about magical power sources and where to find them. Get it from Amazon for $15.99 (also available in poop and pizza shapes). 4. 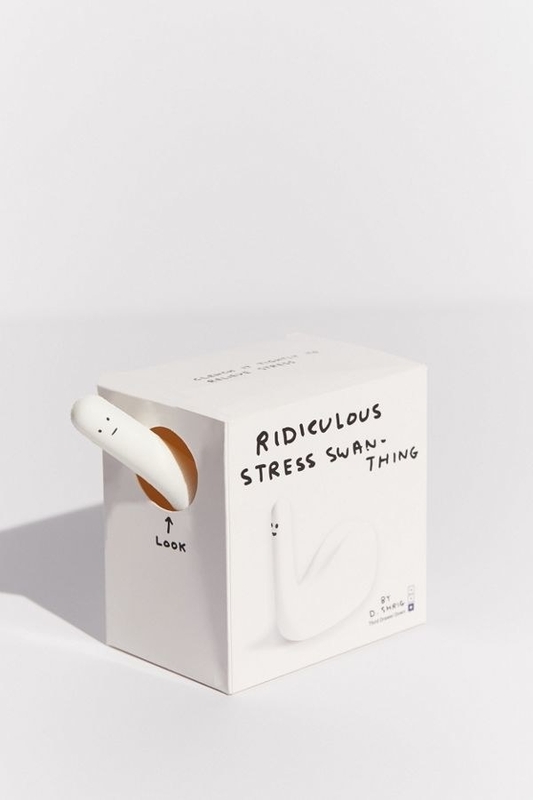 A squishy little swan dude designed by the great David Shrigley so you can get your aggression out and feel as zen as the blank-faced bird you're squeezing. 5. A helpful to-do list to help you plan out your day by different categories. When it's all written out and orderly, it doesn't seem so daunting! Get it from Amazon for $7.70 (also available in "All Out Of," "Self-Therapy," and other options). 6. 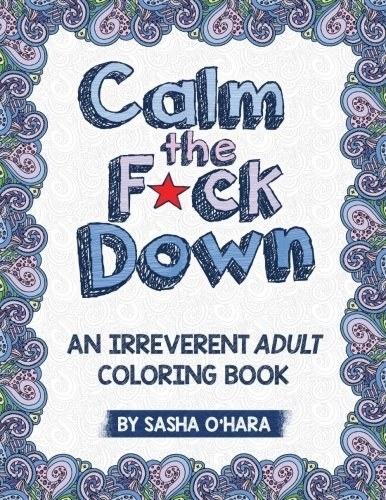 A really cussing good coloring book — the only red you'll be seeing is the red crayon you're scribbling with. There are 21 single-sided coloring pages plus two test pages to try out your new markers or colored pencils. Get it from Amazon for $5.24. 7. A teeny-tiny Etch A Sketch sure to make all your doodles — and problems — seem small and manageable. 8. A CBD roll-on stick to help alleviate stress and have you feeling like everything is NBD in minutes. I'm a big fan of CBD because it helps my whole body relax. It's especially great right before bed to help me stop worrying about all the stuff I have to do and finally get some darn sleep. Get it from Sagely Naturals for $29.99. 9. A colorful mug with Richard Simmons on it to remind you it's OK to step out of the spotlight when you need some you-time. Get it from WhateverMugs on Etsy for $15.30. 10. A gravity blanket ready to make you feel like you're all bundled up, without the stifling heat that comes with lots of covers. It's thought to also be helpful for those with anxiety, OCD, autism, and sensory processing disorder. For best results, choose the blanket that weighs about 10% of your body weight. Get it from Amazon for $63.50+ (available in six sizes and six colors/patterns). 11. An LED diffuser that hits you with both lights and nice relxing scents so you can be transported away from all your problems. Get it from Urban Outfitters for $65 or what looks to be the same model from Amazon for $44.97. 12. And a bottle of essential oil that smells like your home state, just in case you want to be transported to somewhere specific. They also come in cities, countries, and specific moments. A lot of these scents are sold out due to the holidays, but the following are still available: Washington, Washington DC, Arizona, New Orleans, Nashville, Love, and Holiday. Get it from Homesick for $9.95. 13. Introverts Retreat — a subscription service that sends you a book by a female author along with some self-care items, so you can be properly pampered while ignoring your problems for a bit. 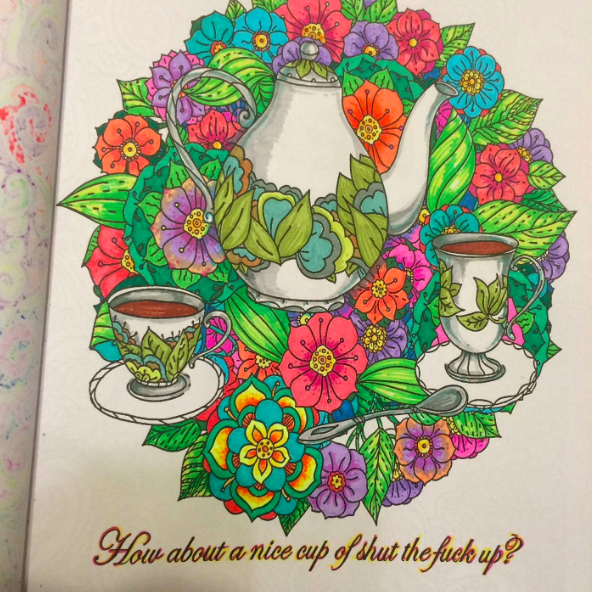 Some items you might get with the book include: bath bombs, candles, snacks, coffee, tea, socks, puzzles, scrubs, jewelry, coloring books, and more. Get it from Cratejoy for $34.99+/month. 14. A bottle of Poo-Pourri so you can stop worrying about public bathrooms and leave smelling like roses. Get it from Amazon for $6.99+ (available in eight sizes and 21 scents). 15. The Little Book of Life Hacks — an illustrated guidebook filled with little tips and tricks that will make you feel like a dang life champion. It's by Yumi Sakugawa who you might know from this really cute comic about having a platonic crush on someone. Get it from Amazon for $11.09. 16. A Milky & Honey muscle soak with eucalyptus, arnica, rosemary, and sweet marjoram to help relax those tense muscles. Surely I'm not the only person who slowly becomes one giant tangled knot over the work week. Get it from Free People for $26. 17. Or a plant-based, hypoallergenic bubble bath with a relaxing lavender scent to soak away the day's troubles. Get it from Amazon for $10.79 (also available in two other scents). 18. And hello, a wine holder so you can sip Chardonnay amongst your bubbles like some kind care-free diva. 19. A cleansing face mask that will leave your face feeling so refreshed and glamorous, it'll be like striking gold. This face mask says it's good for all skin types, especially oily with large pores. To use, apply a grape-sized amount in an even layer all over your face and gently massage into your skin, leave it on for 15–20 minutes, or until the gold color turns white, and then wash off with warm water. It helps to reduce dead skin cells, dirt and toxins, and minimize pores, firm skin, and make your skin feel softer. 20. 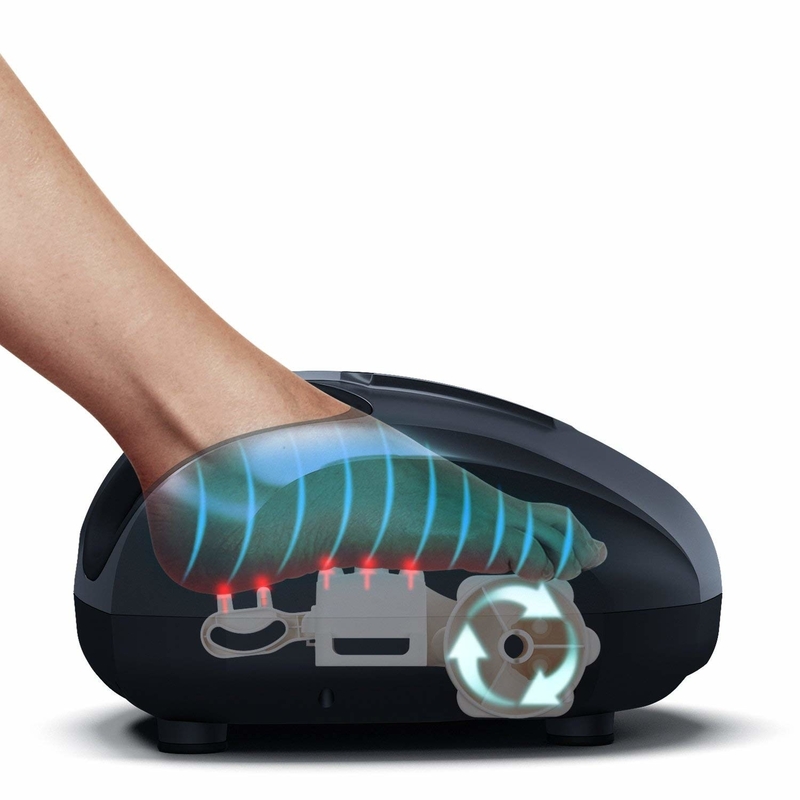 A super-popular foot massager with deep-kneading rotating nodes — all your worries will just slip away when you turn it on. 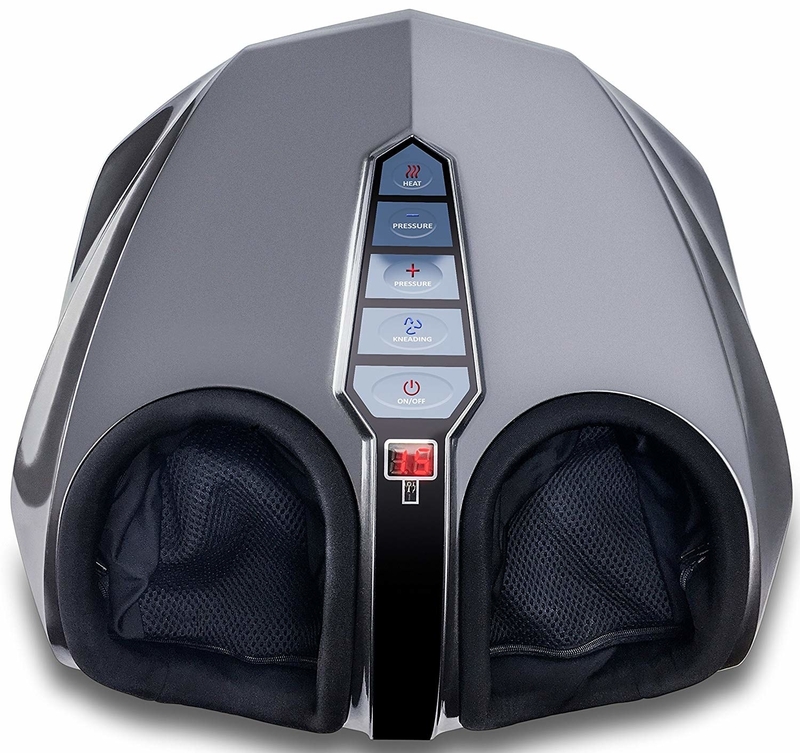 This beauty has deep kneading, vibrating, rolling, and heat functions, and is set with five different pressure settings that'll perfectly hit your pressure points. Get it from Amazon for $144.99. 21. An under-desk hammock so you can put your feet up and take a breather when work gets out of hand. Get it from Amazon for $9.19+ (available in seven styles). 22. A bossy candle that will tell you exactly what you need to do right now. Get it from BrooklynbCandleCo on Etsy for $15.29 (available in 10 scents and four lid options). 23. A nail polish holder that hooks onto your hand, because your de-stressing activity should be as easy as possible. Get it from Amazon for $10 (available in 11 colors). 24. A tiny mopping robot so dirty floors are one less thing you need to worry about. Get it from Amazon for $169. 25. And a narwhal pin to help you see your anxiety in a less threatening way. Get it from SugarandSloth on Etsy for $9.28+ (available in two clasp options).